Full Prepayment. No refunds in case of cancellation. For bookings during low season (April, May & October) with duration 3 nights and more, an additional 10% discount is offered. 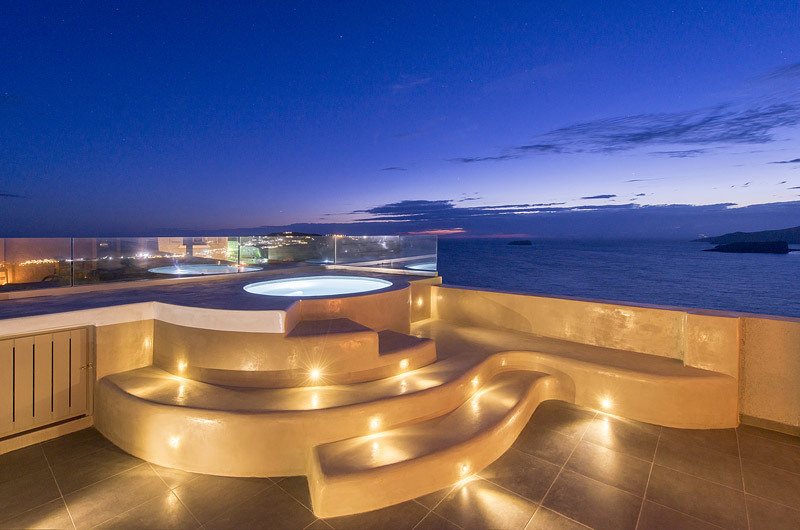 We are glad to announce, that Calderas Dolphin Suites has joined our group of hotels, already known by Regina Mare, Avaton Resort & Spa, Vinsanto Villas, Krokos Villas and Gorgona Villas. 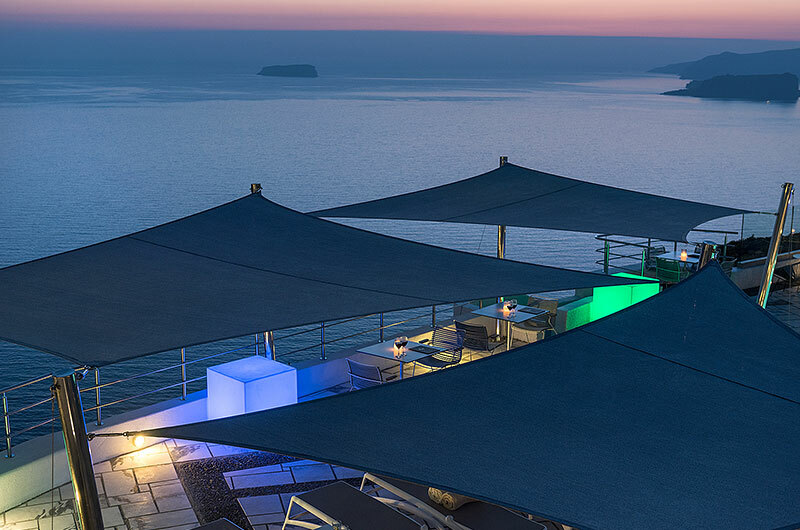 The colours, the coolness and the aromas of sea will join you this summer. Let yourselves to the feeling of Caldera's Dolphin. 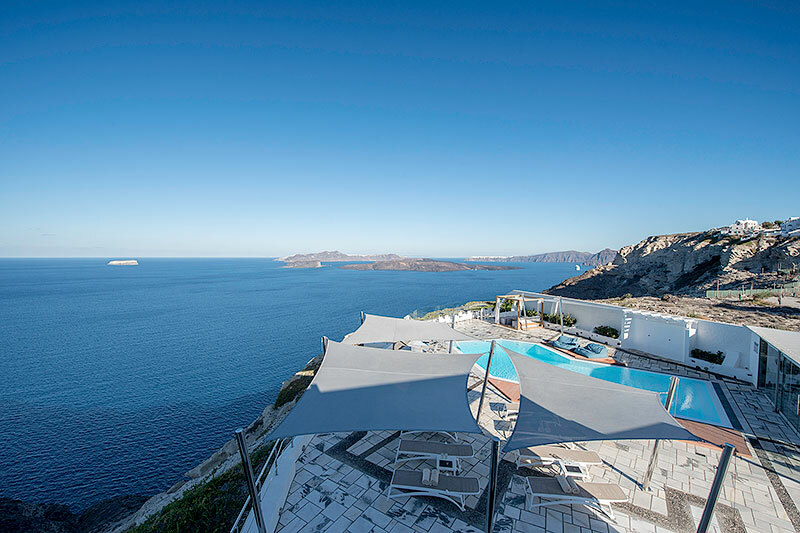 The pool hanging over the Caldera gulf will take you to magical worlds, viewing the endless Aegean blue and the magnificent sunset. 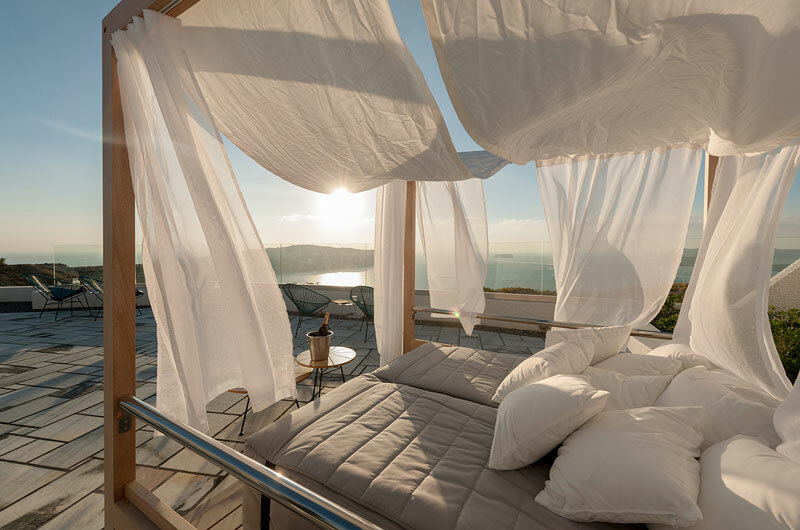 A touch of comfort and luxury we all deserve. Paradise is here. Why wasting any time? 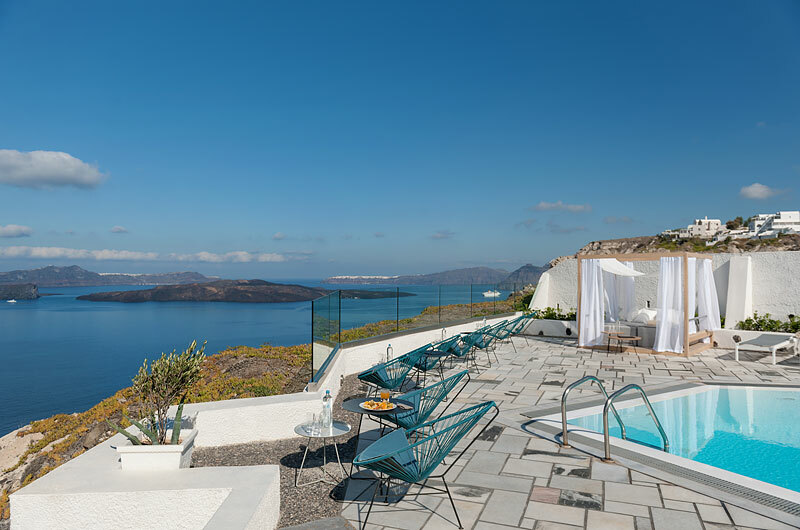 Spectacular views, a relaxing environment and comfortable surroundings are part of Caldera's Dolphin personal charm. 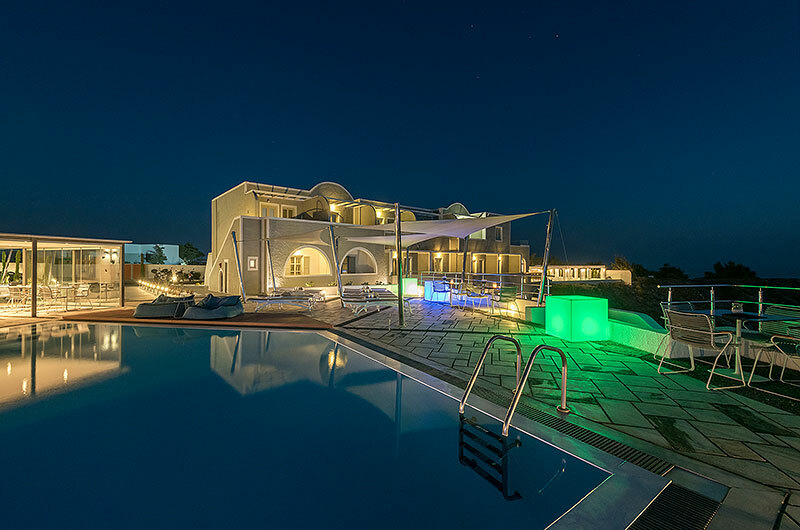 Ideally located at Megalochori village next to the the Boutari winery and only 6 km away from Fira, the capital of Santorini, Caldera's Dolphin promises memorable holidays to its clientele.